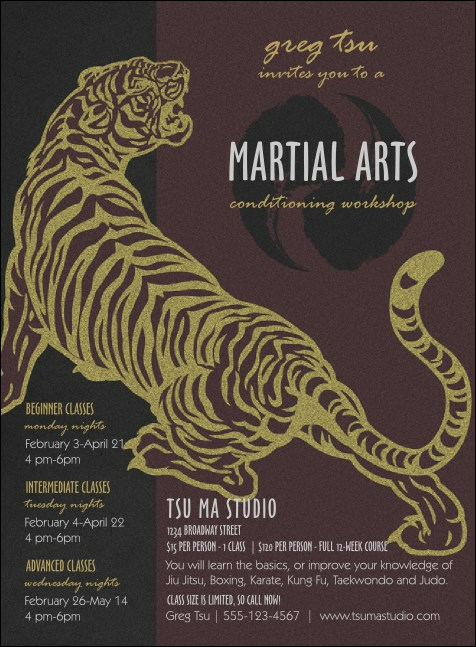 Roar into everyone's consciousness with this Martial Arts Invitation! A black belt in event planning won't be far behind when you use this dynamic tiger on a purple and black background to capture the attention of all your potential guests. Banish the competition for your evening's entertainment with 23 spots for event info. Set the tone of your event with the right invitation from TicketPrinting.com.